The Gaslamp Killer is a cosmic spirit operating in the atmosphere, far removed from the mainstream. The L.A underground is where the origins of William Bensussen AKA The Gaslamp Killer lie. Bensussen is a resident DJ and co-founder of the mythic Low End Theory club night in L.A. He has produced Gonjasufi’s 2010 album ‘A Sufi And A Killer’ whose beguiling sound was rooted in psychedelica and experimental haze. ‘Breakthrough’ is the debut album of The Gaslamp Killer, where alongside a formidable cast of friends, has created a masterpiece that excels in its diversity. ‘Breakthrough’ features a stellar lineup of beatmakers and artists. The soul-baring, otherworldly voice of Gonjasufi takes the journey of ‘Breakthrough’ to beautifully unknown paths. His albums ‘A Sufi And A Killer’ and ‘The Caliph’s Tea Party’ are full-blown classics, both released on the Warp label. The L.A based producer Daedelus who is at the forefront of modern electronic music, mixes with Bensussen on several tracks. Adrian Younge guests, another luminary from the L.A scene is the next generation of soul music. Miguel Atwood-Ferguson provides cinematic strings to the eclectic mix. At the core is The Gaslamp Killer who wrote, produced, arranged and mixed the majority of ‘Breakthrough’ and adds live drums to several songs. Welcome to ‘Breakthrough’, which has been described as “a manic and mystic trip through the mind of a madman”. Be warned. White noise and eerie voices are the first sounds that can be heard on the two-minute opener ‘Breakthrough’. Worlds of ‘Lost Highway’ or ‘Blue Velvet’ are visited, belonging to horror soundtrack music above anything else. The closing moments descends into an uplifting guitar instrumental with shades of Mali and gospel harmonies. Immediately, The Gaslamp Killer has captured your mind and imagination. Film score strings and Ennio Morricone guitar leads you into the sublime ‘Veins’, one of the album’s strongest songs. Gonjasufi supplies the ammunition here with his soul-baring vocals. Darkness is painted amidst emotive strings and dazzling guitar tones. Gonjasufi sings “Do me a favour/and cut your vein out of your heart” on the opening verse. The lyrics are disturbing and forges a foreboding tension between the compelling music backdrop. “I trust in his name/to pull you out your darkness” is sung from the darkest depths of Gonjusafi’s soul before his falsetto melts into the haunting violins. ‘Veins’ is a mere two minutes in length yet its profound impact lingers long in the ether. Computer Jay assists on ‘Holy Mt Washington’. Live drums by The Gaslamp Killer breathes bustling life into the psychedelic haze. The song’s slow and menacing groove is utterly compelling, complete with an eerie whistling tune throughout. ‘Critic’ features Mophono. Additional strings are performed by Citizen Ten. The Gaslamp Killer’s live drums combined by the brooding strings paints bleak darkness at the world’s end. One can imagine Johnny Greenwood’s score to ‘There Will Be Blood’ and Dirty Three’s darker instrumentals as cues to Critic’s feel and flow. ‘Dead Vets’ consists of pumping synths, drums, percussion and infectious beats and rhythm. Adrian Younge and MRR assist on the track. Californian psychedelica is wonderfully tapped into here. ‘Flange Face’ is one of the album’s highlights. Divine music of soaring strings is mixed with the compelling beats by the master beatsman, Daedelus. ‘Flange Face’ is a killer-track with a hypnotic beat that will stop you in your tracks. Think Kronos Quartet remixed by Aphex Twin and you’re halfway there. ‘Apparitions’ is another song co-written by Gonjasufi. The meditative music is reminiscent of the Ethiopiques series and otherworldly sounds of Ethiopia. The song is alive with a Memphis soul groove. The guitars, keys and drums provides a spiritual realm for Gonjasufi’s lyrics of wisdom. “Trust in him always/He’s the only way” shines a spiritual light into headspace. My favourite lyric is “I cannot fly with no wings/I will try and hover myself above the ground”, where Gonjasufi’s vocal delivery is majestic. Free jazz and electronica are fused together on the compelling ‘Impulse’. Daedelus brings his futuristic electronic bleeps and tones to the mix of live drums (The Gaslamp Killer) and turntable scratches (D Styles). 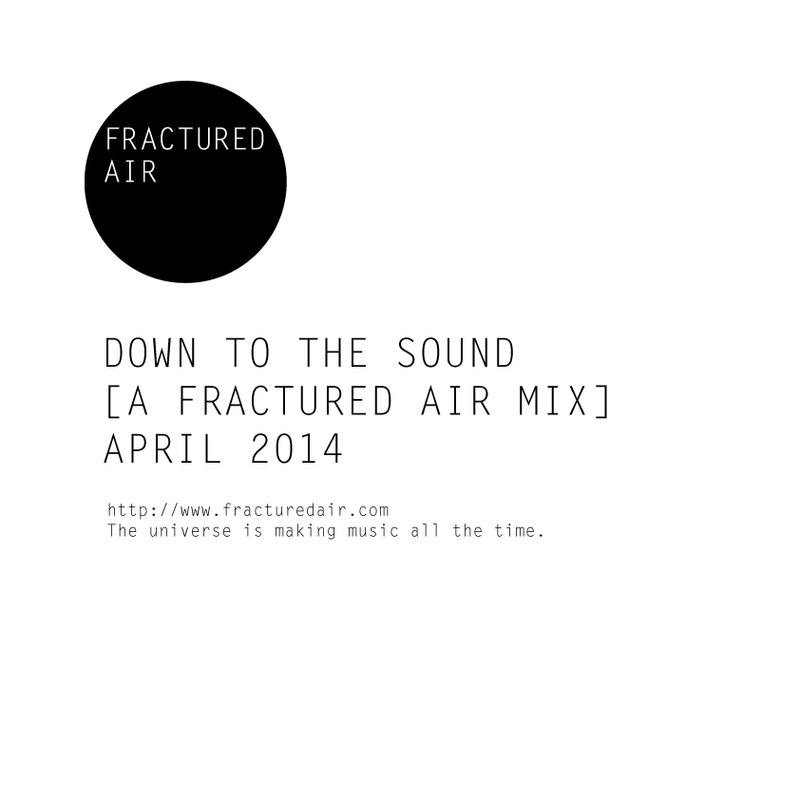 The sound created is akin to Ninja Tune’s trademark fresh beats and genre bending sounds. The tempo slows on ‘Meat Guilt’ (with RSI) with slow drone pulses and psychedelica. ‘Mother’ casts lighter shades of colour onto The Gaslamp Killer’s songbook. A spoken word sample of a mother speaking of her son is played beneath a jazz backdrop with a flute/woodwind lead. “..You were a very entertaining child/and you took to music early on/and you loved it and I can see now, that it loved you” could represent The Gaslamp Killer’s young childhood wrapped in music. ‘Nissim’ is a joyous instrumental that takes you straight to Turkey’s Istanbul. The strum of yiali tambur and bass, drums creates a stunning instrumental encompassing worlds of sound. The music is like a celebration of life with its sunshine pop feel and uplifting melody. ‘In The Dark’ is the album closer. In contrast to ‘Nissim’, this instrumental is filled with darkness. The menacing synths penetrate deep into your soul. The strings (arranged by Tom Lea) are ablazed in raw emotion. A climax of epic proportions are reached as the crescendo of strings casts an imminent silence. Shortly afterwards, contrastingly soft, bright arrangement of brass (arranged by Elizabeth Lea) forms a bright lament, casting light on the crazed darkness. ‘Breakthrough’ is out now on Brainfeeder.